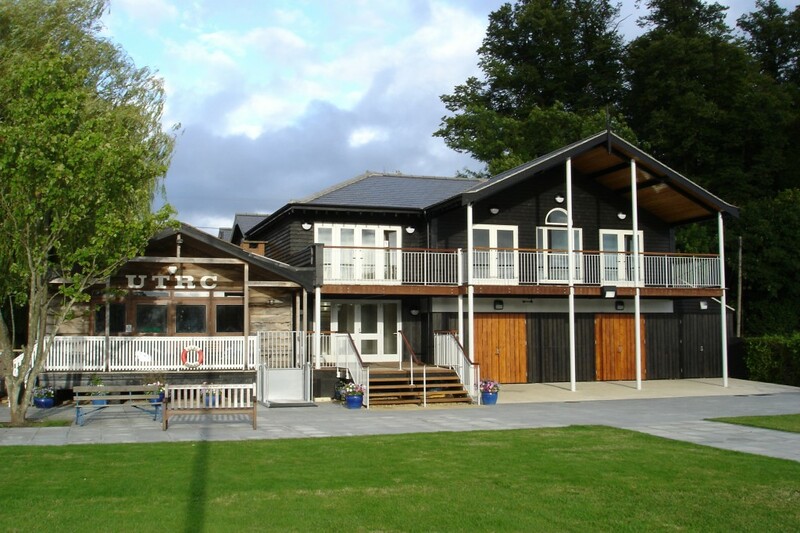 The original Upper Thames clubhouse was built in 1985, following twenty years of boating from the old “boom shed” with no other facilities. The timber-framed building provides a cozy setting for our main club room. During the summer the large doors open onto a balcony at ground level leading to the club lawn and down to the river. By 2005 the club had expanded to the point where a new boathouse was required, replacing the old regatta boom shed which housed all club boats up until that time. This was opened by Boris Johnson, then the MP for Henley, and now has enough space to house 6 eights, 24 fours and 21 pairs. The boat fleet is predominantly comprised of Empachers; boat maintenance is a top priority at Upper Thames. In 2009, additional clubhouse facilities were opened by Sir Steve Redgrave as part of a £1,000,000 redevelopment. The old sculling shed was replaced with a new boathouse for members’ private boats, and upstairs has since become a first class gymnasium. There is no other club gymnasium quite like it, overlooking the famous Henley Royal Regatta course. There is plenty of space for circuit training and weights. During the summer this room is transformed into a fantastic club room and bar where members and their guests can relax and enjoy the racing at the three famous regattas which take place on the Henley Reach each year: Henley Women’s Regatta, the Henley Masters Regatta and Henley Royal Regatta itself. Due to our unique location on the regatta course at Henley, Upper Thames Rowing Club really is at the heart of the rowing world.